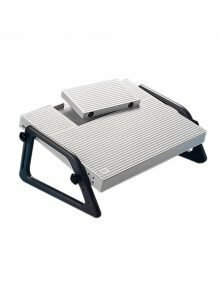 Our Adjustable Footrest has 4 Angle height adjustment to 6, 12, 16, 25 degrees. 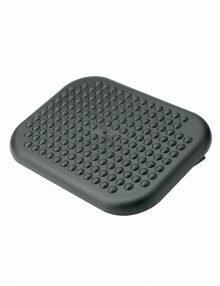 It also has a non slip foot pad and floor pads for maximum grip. 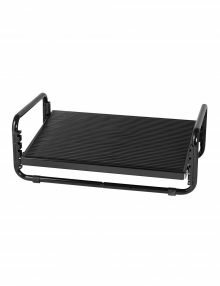 Adjustable footrest, inclines in both directions. 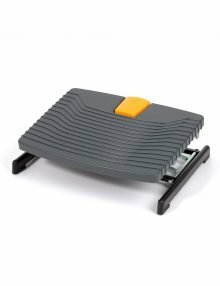 Anti-skid base to prevent slipping. 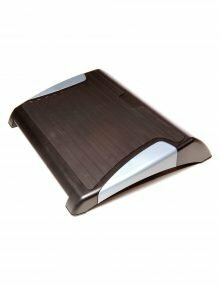 Foot massage surface helps ease tired feet. Dimensions 320 x 450 x 80 mm (d x w x h). 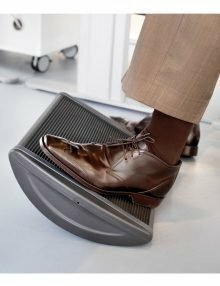 Sturdy platform self adjusts for greatest comfort. 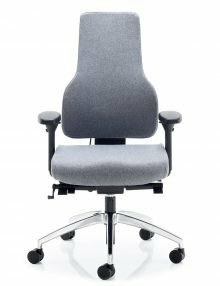 Non-slip o-rings to insure that the footrest remains firmly in place. 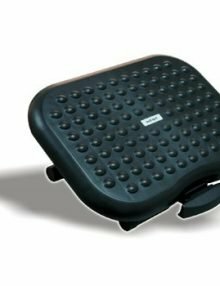 The Footform Dual Footrest has a solid steel construction and is easily height adjustable by pressing down on the red button with your foot. Ideal for high work surface stations. 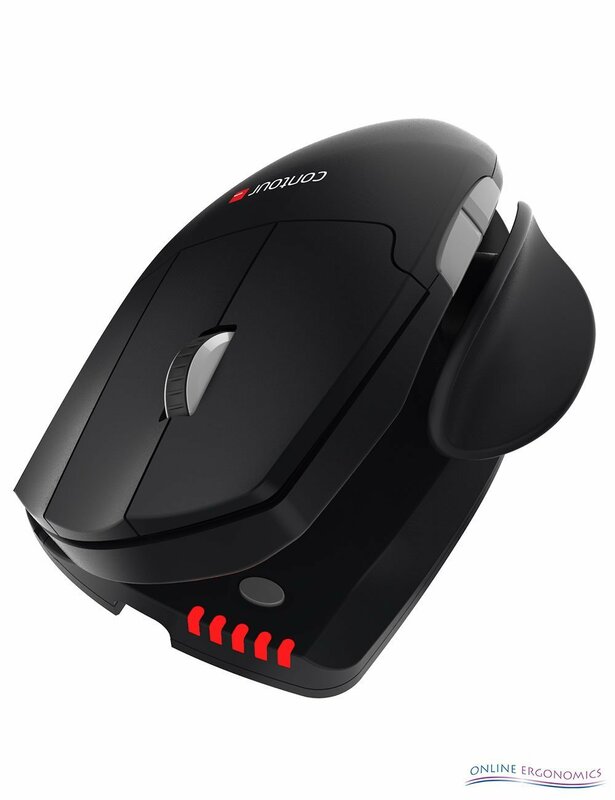 Height adjustable from 3.5” to 5.1” or 5.5” to 12.5”. 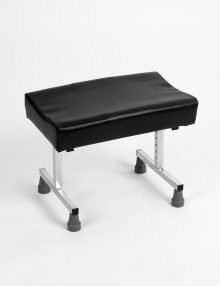 The Hag Quickstep Rocking Footrest further activates the circulation and stimulates co-ordination by stretching the calf muscles. Fixed height. 2-sided use. 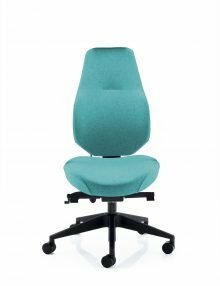 Lightweight and easily moved. Cushion size: 510 x 305mm (20 x 12″). 4 brake castors, 4 cms (1.5″). 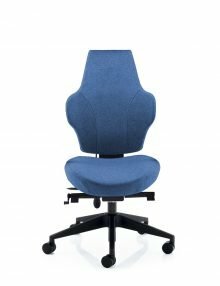 Padded top with concave shape. Non-marking, slip resistant rubber tips. 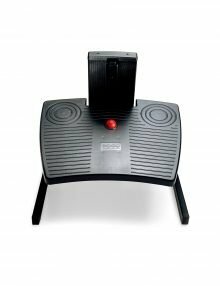 The Score Basic 952 Footstand is a tilt adjustable footplate with a height range of 3″ to 11″ and easy to reach foot controls. It comes in chrome and black. 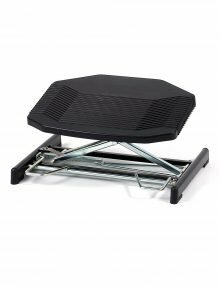 The Score PRO 959 is a great footrest. 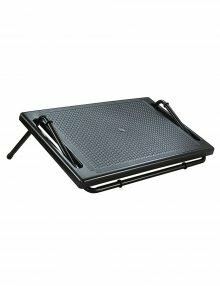 It is easily adjustable, and can be done so with a single foot. 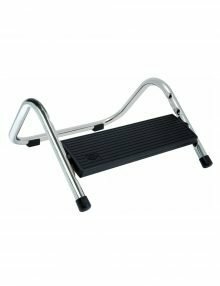 It has an adjustable footplate with a height range of 9-37cms and can support loads of up to 100kg.